This ice cream is the embodiment of one of my very favorite community aspects about Molly Moon’s. I learned more of my business skills than I should probably admit as a Girl Scout selling cookies all over town. The “camperships” offered to the girls who sold a lot of cookies played an important role in the affordability of Girl Scout camp for me. Camp was one of the very best parts of my childhood and ended up shaping who I am in many ways. As a grown-up, I find it amazingly fun to be able to support little Scouts now by buying tens of thousands of cookies every spring. We buy enough Thin Mints during cookie season to supply all of our shops with an entire year’s worth of cookies for one of our most popular flavors. These purchases often shock the girls, who get bigger sales if I think their pitch is particularly good (teaching those business skills early!). Last spring, when I bought 325 boxes of cookies from one articulate little lady, her mom started crying – our purchase had just gotten her a full ride to camp! “Scout” Mint is sure to be a crowd pleaser – especially with the under-ten-years-old set. 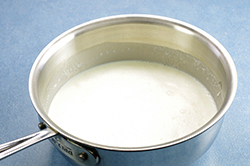 Put the milk, cream, sugar, and salt into a small, heavy-bottomed saucepan. Cook over medium heat, whisking occasionally to dissolve the sugar. Before the mixture has come to a boil, remove from the heat. Pour the mixture into a shallow pan or bowl and place in the refrigerator to chill thoroughly, 1 to 2 hours. When the mixture is cold, stir in the peppermint extract. 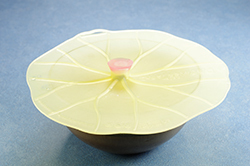 Pour it into an ice cream maker and process according to the manufacturer’s instructions. 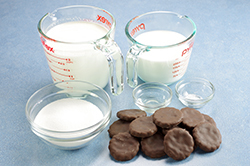 During the last few minutes of processing, add the cookies. 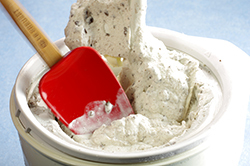 Using a rubber spatula, transfer the ice cream to an airtight glass or plastic freezer container. Cover tightly and freeze until the ice cream is firm, at least 4 hours. 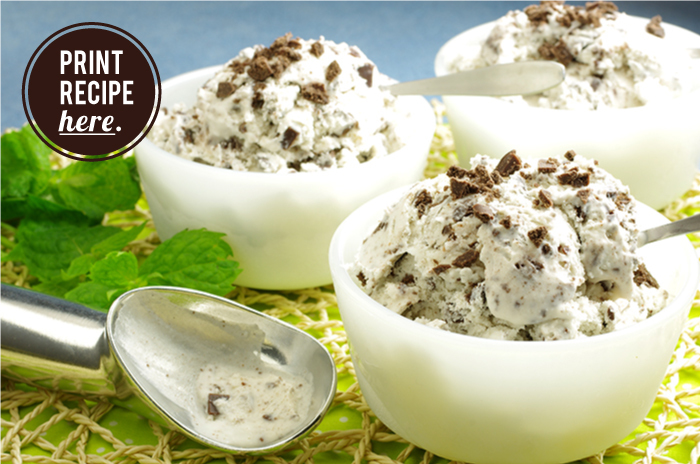 NOTE: The cookies can be crushed into pieces as big or small as you want them to be in your ice cream. We shoot for pea-size pieces and leave a cookie or two mostly intact – because who doesn’t love finding a big cookie in their ice cream?